If you think American history can't be entertaining, think again. 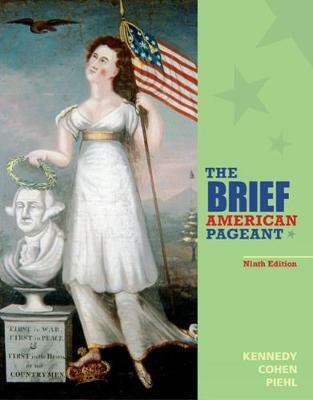 THE BRIEF AMERICAN PAGEANT presents a concise and vivid chronological narrative, focusing on the central themes and great public debates that have dominated American history. Colorful anecdotes, first-person quotations, and the text's trademark wit keep you engaged and make learning America's history an exciting and lively experience. Focus questions, chapter outlines and summaries, and marginal glossaries ensure that you understand and retain the material.